Christian universalism, unlike the traditional view of hell, refuses to dilute Jesus’s radical message that God’s holiness and perfection is defined by a refusal to embrace retaliatory justice and limited forgiveness (Matt 5:38-42; 18:21-22). God’s holy perfection is not a retributive drive to punish sinners. God’s holy perfection is a restorative impulse to forgive sinners and, through a non-retaliatory love that absorbs sin, make reconciliation possible. Forgiving love is at the heart of who God is. Forgiveness isn’t just something that God does. Forgiveness, the willingness to take on the pain caused by others and to not strike back, is at the core of God’s being. The cross of Jesus is the ultimate revelation of God’s self-sacrificial and nonviolent love. In Christ, we see a God who refuses to fight evil with evil, but instead overcomes evil with good and calls us to walk the path that he pioneered for us (Rom 12:14-21). 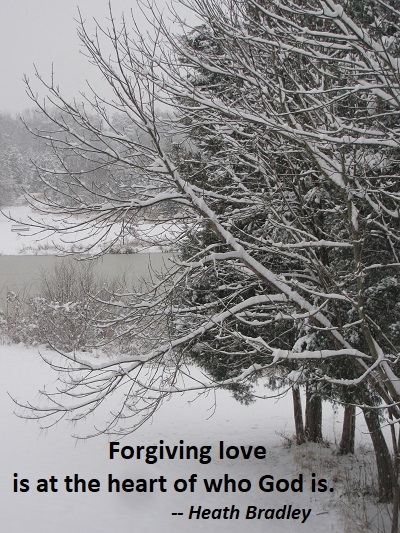 The Christian universalist, then, will see living with forgiveness as essential to holy living. Because God is deeply forgiving and non-retaliatory, our journey of seeking to imitate God must then make forgiveness front and center for our way of life. There is no doubting the fact that the way of forgiveness is absolutely central to the Christian way of life (e.g., Matt 6:7-15; Col 3:13)…. On the traditional view, God essentially asks of humanity what God is not willing to do. God asks us to not seek merely retributive punishment and to forgive indefinitely, yet God is not willing to do this himself. On the traditional view, it is easier to write people off and condemn them because it is believed deep down that this is what God in fact does with the majority of people. On the universalist view, restorative justice and reconciliation are the ultimate reality. Because the universalist believes that the world is heading towards the reconciliation of all things, we are motivated and inspired here and now to begin to make that a reality. This entry was posted on Saturday, January 19th, 2019 at 12:18 am and is filed under Forgiveness, God, Jesus, Life, Redemption, Universalism. You can follow any responses to this entry through the RSS 2.0 feed. You can leave a response, or trackback from your own site.